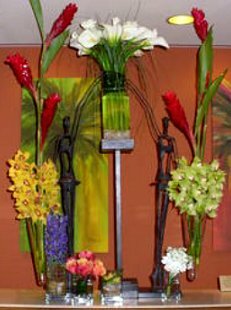 At FLOWERS FROM THE HEART LLC, We Turn Flowers into Works of Art... 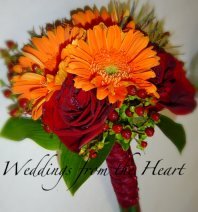 Specializing in Weddings & All Occasion Flowers! We’re a local Valparaiso, Florida florist offering a lovely variety of fresh flowers and creative gift ideas to suit any style or budget. We hope you enjoy your online shopping experience with secure 24-hour ordering right at your fingertips. If preferred, you may call us to place orders direct at (850)-729-0004 or 1-(877)-737-0004. 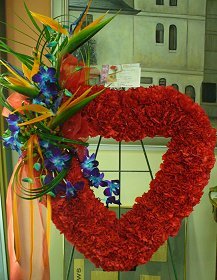 When It's Time to Send Flowers to a Funeral... A member of our courteous and knowledgeable staff is available to assist you. We will design and deliver a funeral arrangement that beautifully expresses your sympathy and celebrates the life of the deceased. When It's Time to Shop for Gifts that WOW them... Our shop has these great items to choose from and much more: Green Plants, Blooming Plants, Dish Gardens, Fruit Baskets, Gourmet Baskets, Baby Gifts, Candy & Chocolates, Gifts, Greeting Cards, Home Décor, Scented Candles, Silk Flower Arrangements, Plush Stuffed Animals and Balloons. When It’s Time to Plan a Wedding, Party or Corporate Event… Call in advance at (850)-729-0004 or 1-(877)-737-0004 and schedule a consultation, so we can help you start planning your next special occasion! Our beautiful selection of high-quality flowers and eye-catching design styles are sure to bring rave reviews at your wedding or any festive event. Thank you for visiting our website with flowers delivered fresh from your local Valparaiso, FL flower shop, FLOWERS FROM THE HEART, LLC!